This week, the guys sit down with local hip hop artist, Benjamin J, at the Union Club in Tacoma. Benjamin has been in the PNW for the last year and is originally from North Carolina. 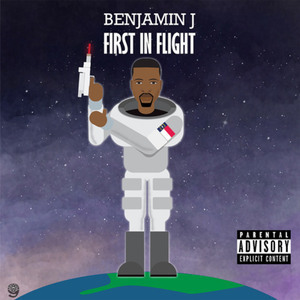 He recently put out his first album, First In Flight. People can hear his music on the majority of the platforms online, including: SoundCloud, Apple Music, and Spotify. The show kicks off with Benjamin talking about putting his music out online through various platforms, how his recordings are done by himself, and the guys chat about how people can learn anything on YouTube. The guys talk about pre internet and YouTube, Benjamin talks about how he got started, and what motivated him to do his first recording. 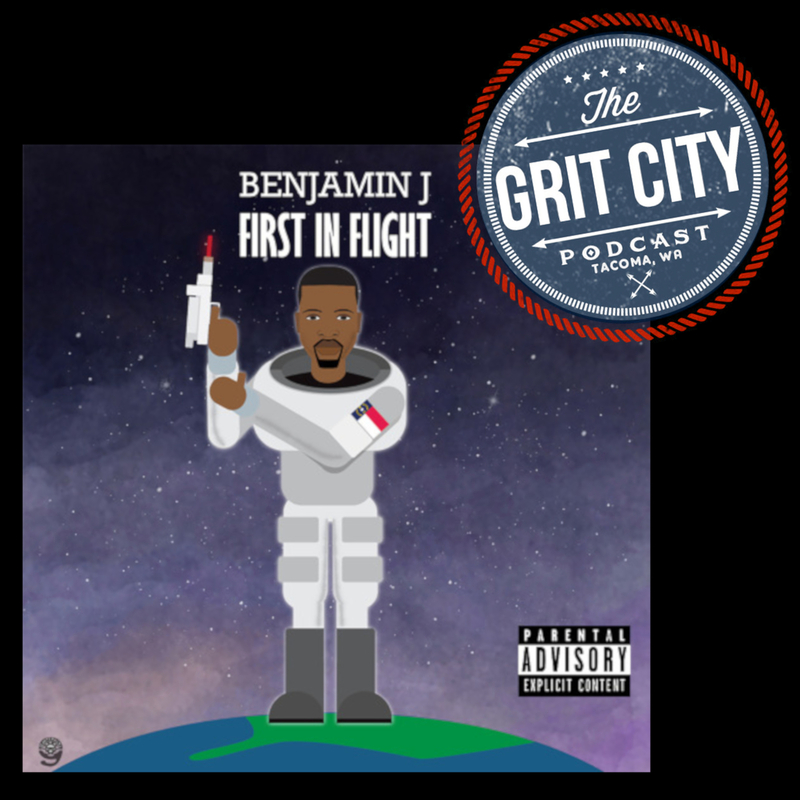 Benjamin chats about his influences, including those outside of hip hop that encompass gospel and jazz. 10:30 – Benjamin talks about coming to the PNW from North Carolina, the culture shock after moving here, and that he misses southern food the most. Justin talks about his wife adjusting to Tacoma after living in Seattle, Benjamin brings up the southern hospitality in North Carolina, and the big metropolitan areas there. 17:30 – Justin asks Benjamin about being a Star Wars fan, Benjamin tells the guys about the places he’s seen since he’s been here, and chat then goes to his album, First In Flight. Benjamin talks about the eye opening point when he was writing lyrics and becoming conscious about writing music that even his mom could enjoy. He also discusses wanting to keep the album short and the different social issues that he covers in his songs, including the lives of those that are disenfranchised. The show comes to an end with Benjamin talking about trying to limit the amount of cursing that he writes in his lyrics and the show finishes out with his his song Your Letters, based on the life him and a childhood friend thought they were going to live, dreams they had as children, and where they have actually ended up. Thanks Benjamin for joining the guys to talk about your music and giving the listeners a look in the life of a local PNW artist!! !